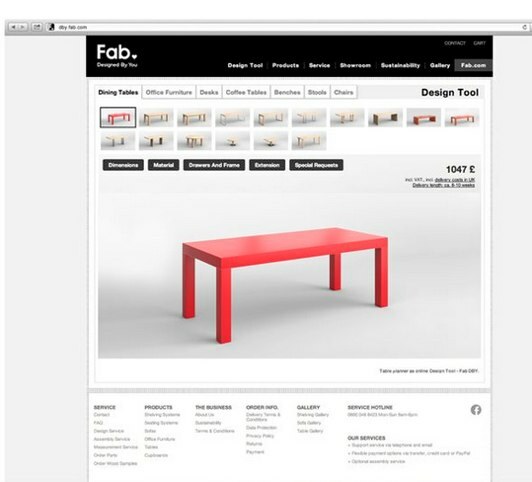 Design-focused retail site Fab has announced its new pivot, along with an acquisition and much more. As we reported last week, Fab now has 12 million users and is continuing to grow at a fast clip after its initial pivot. Last year, the company saw $150 million in revenue, and revealed in February that sales were up by nearly 300% in January 2013 over January 2012. International is also a huge potential growth area for the company. Fab has 1 million members in the UK, which is generating nearly 40% of its sales in Europe and is its fastest growing market outside the U.S. The company has sold more than 7 million items, with one product sold every seven seconds. Mobile is also a huge growth area, with one-third of sales being placed via mobile. According to the company, Fab will double revenue in 2013, and should reach $250 million in 2013 sales. Interestingly, Fab says that most of its revenue is not derived from flash sales, which was the initial model Fab adopted after its pivot in 2011. As we wrote in this profile of the company, Fab infamously pivoted from Fabulis, which was a social network for the gay community, into a flash sales site. Fab says that two-third of sales are currently not from the flash-sales on the site. This second pivot is less dramatic but definitely meaningful. Fab is now branding itself as a design store, and now has a unified technology experience across its iPad, iPhone and web apps. The company is revealing a complete redesign which makes it more of an integrated e-commerce site. You can now access design pages by room, type of furniture, color, designer and more. Another twist in the pivot: Fab is partnering with designers to manufacture and sell home furnishings exclusively through Fab. 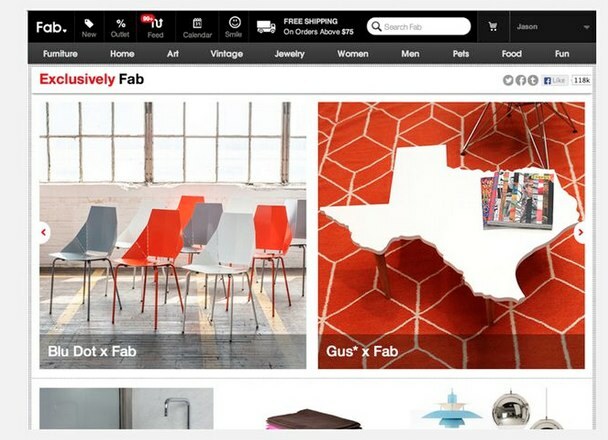 Fab is also producing and manufacturing its own line of products and home goods. 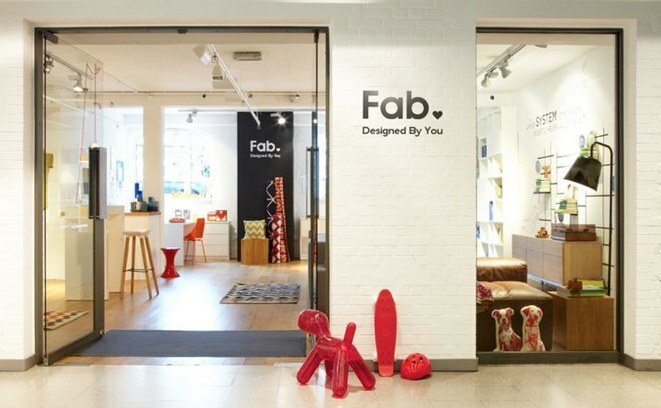 Additionally, Fab has acquired German custom furniture store Massivkonzept, which the company says is profitable and has a $10 million revenue run rate. The idea behind Massivkonzept is that it allows you to essentially design your own furniture online. You configure shelving, table, and seating systems online and choose the dimensions, color, and materials on your designs. The company turns this into actual, well-designed furniture. Lastly, Fab, like Warby Parker and other e-commerce sites; now has a brick and mortar presence with a new retail store in Hamburg, Germany. Fab will test physical retail environments and different types of retail formats in Hamburg and in other markets. Germany isn’t a huge surprise for the first in-store presence; 60% of European revenue comes from Germany and Austria. Clearly this is a big part of co-founder Jason Goldberg’s vision for how Fab will compete in e-commerce in a post Amazon world Fab sells products that aren’t listed on Amazon, and with this pivot, the company continues to focus its retail efforts away from Amazon’s core business. In fact, 90% of Fab’s products sold cannot be found on any other major website. So how is Fab funding this expansion? We’re hearing the company is raising more than $100 million in funding at a $1 billion valuation. The company previously raised $171 million from Andreessen Horowitz, First Round Capital, SoftTech VC, Menlo Ventures, Baroda Ventures, Ashton Kutcher, Guy Oseary, Thrive Capital, Kevin Rose, SV Angel, The Washington Post and others.